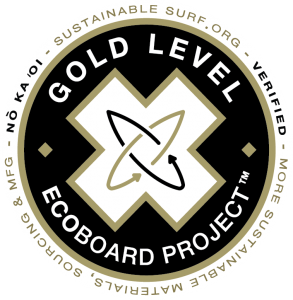 The ECOBOARD Project helps the board-riding community to build, buy and ride high-performance sustainable boards. Launched in 2012, the ECOBOARD Project is an ambitious social transformation program, that educates and engages individuals about the environmental impacts of their surfing lifestyle through the lens of their board. The simple act of choosing a more sustainable board can be an “on-ramp” into a dramatically more sustainable, ocean-friendly life. 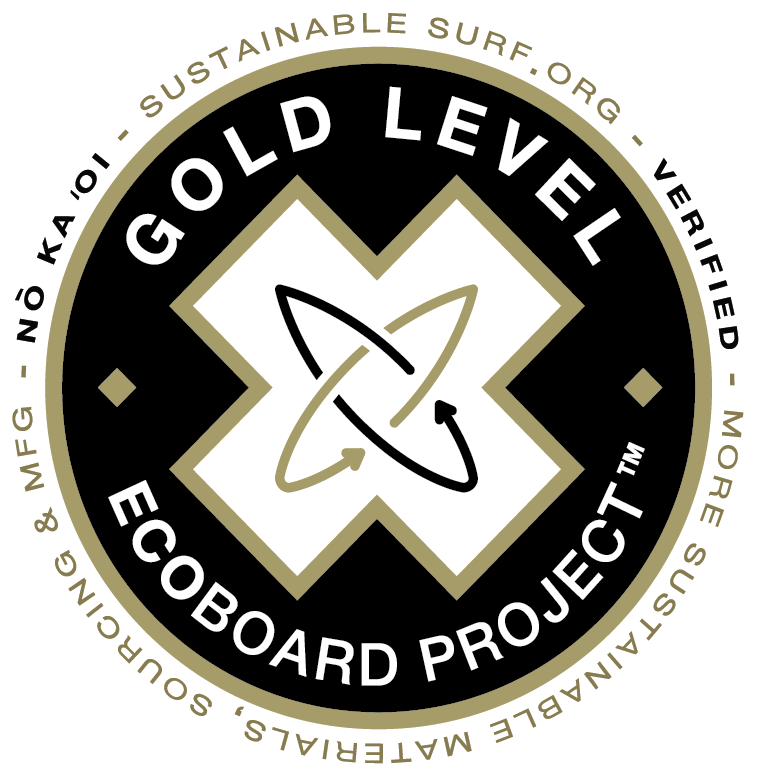 The first, independent 3rd party consumer-facing “eco-label” for boards, the ECOBOARD Project is focussed on reducing carbon footprints, increasing the use (and reuse) of renewable, recycled and up-cycled inputs, and reducing toxicity within the surfboard manufacturing process. Our science-based two tiered program provides a pathway for the verification of more sustainable board construction. Boards displaying ECOBOARD Gold Label or Level One labels have been made by manufacturers committed to reducing their environmental footprint, using materials that include the latest advancements in green chemistry, renewable materials and recycled content. The result – boards with reduced environmental and toxic impact – while retaining the high-performance characteristics we’ve come to expect from modern surfboards. Since the start of the ECOBOARD Project four years ago there has been a rapid uptake in the number of qualifying boards being produced (and ridden) year on year. 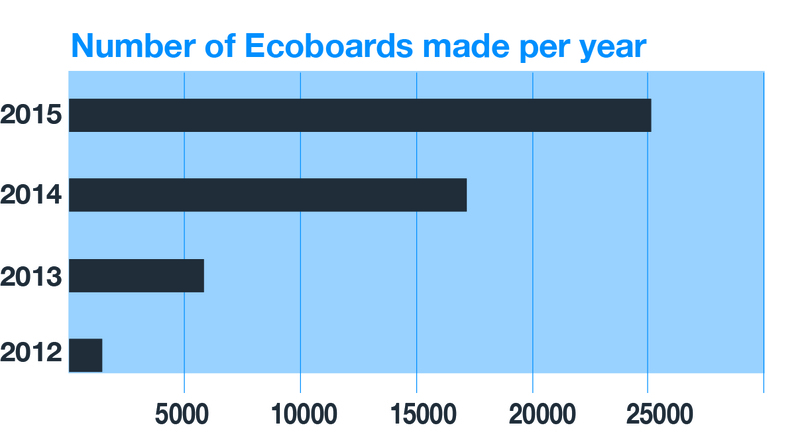 In 2015 25,000 ECOBOARDS were produced, a 46% growth on 2014.